Who said bad things about yamaha fxho ? 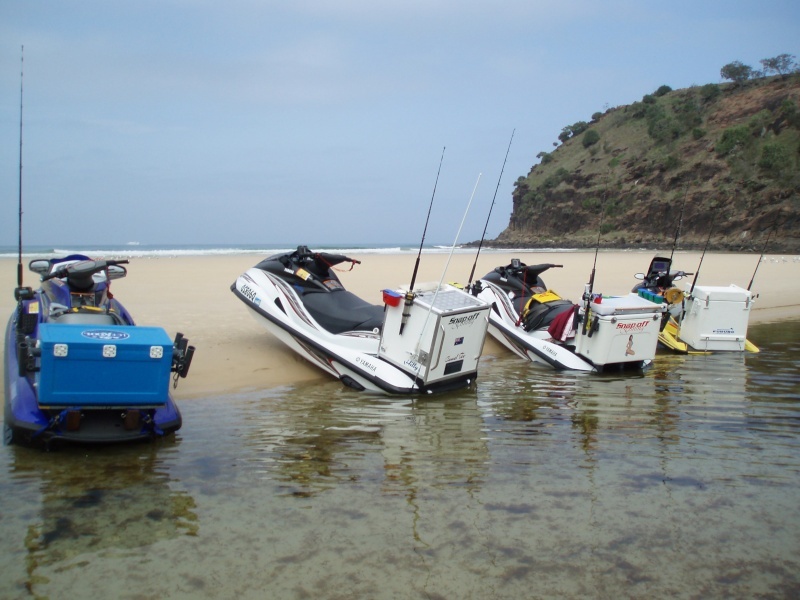 The Yamaha fxho is perfect for jet ski fishing our crew has 3 of them (see photo below ) never had a problem. I agree Aka Hooter, we did 110 engine hours on ours last Summer, a very practical, fuel efficient ski, I would have no reason not to purchase another if I wasn't on our current Supercharged Waverunner. If you were looking at a secondhand ski i would go either yamaha or seadoo,the 06/07 ultra 250's had a few issues that i believe kawasaki have fixed now for the 08's but only time will tell! the yamaha and seadoo 4 stroke skis just dont give us issues,service them once a season and they stay nice and happy,the fxho is a nice ski the seadoo gtx or gti is also perfect for family and jetski fishing.